Jeremy Piven is an American film producer and actor best known for his role as Ari Gold in the television series Entourage for which he has won three Emmy Awards as well as several other nominations for Best Supporting Actor. Piven was born in Manhattan, New York, but grew up in Evanston, Illinois, a suburb north of Chicago. He graduated from Evanston Township High School, and attended Harand Theater Camp in Elkhart Lake, Wisconsin, as a teenager. He played the part of "Bernardo" in West Side Story there. In Illinois, he trained at Piven Theatre Workshop, founded by his parents, Byrne Piven and Joyce Piven, both of whom were actors and drama teachers. He also attended Drake University in Des Moines, Iowa, and is a member of the Pi Kappa Alpha Fraternity. He spent a semester at the National Theater Institute in Waterford, Connecticut. He has appeared in a number of films with John Cusack, who is also from Evanston and is a fellow alumnus of the Piven Theatre Workshop (as are Cusack's sisters Joan and Ann). Piven and Cusack once shared an apartment and have been friends since high school. Jeremy Piven has recently received acting honors for his critically acclaimed portrayal of the slick, fast-talking super agent Ari Gold in the smash hit HBO original series "Entourage." For his work on the show, Piven won back-to-back Emmy Awards in 2006 and 2007 and just earned his fourth consecutive Emmy nomination. He has also garnered four consecutive Golden Globe nominations, taking home the award for Best Supporting Actor earlier this year. In addition, Piven has been honored by his peers with four Screen Actors Guild Award nominations, earning two for his individual performance on "Entourage," and two more as part of the series' ensemble cast. Piven will next be seen starring in the feature film comedy "The Goods." He will also make his Broadway debut this fall in a revival of the David Mamet play "Speed-the-Plow." Piven was most recently seen on the big screen in director Peter Berg's political drama "The Kingdom," with Jamie Foxx and Jennifer Garner, and in Joe Carnahan's "Smokin' Aces," in which he starred opposite Andy Garcia and Ray Liotta. Prior to "Entourage," Piven was already well known to audiences with roles in a wide range of film and television projects. He has been seen in more than 40 feature films, including Gary Fleder's "Runaway Jury"; Todd Phillips' hit comedy "Old School"; Ridley Scott's "Black Hawk Down"; Peter Chelsom's "Serendipity"; Brett Ratner's "Rush Hour 2" and "The Family Man"; Peter Berg's "Very Bad Things"; Cameron Crowe's "Singles"; and "The Player," for director Robert Altman. On television, Piven was a series regular on "Cupid" and "Ellen" and appeared numerous times on "The Larry Sanders Show." His credits also include the telefilm "Don King: Only in America." Piven was born and raised in Chicago, where his parents founded the Piven Theatre Workshop. His father, Byrne, taught the likes of John and Joan Cusack, Rosanna Arquette and Aidan Quinn. Piven is still very active with this theatre and returns to Chicago frequently to help keep his father's dream alive. In 2004, Piven returned to his theater acting roots when he starred alongside Keri Russell and Andrew McCarthy in the off-Broadway hit "Fat Pig," by Neil LaBute. For his role, Piven received a Drama League Award nomination for Distinguished Performance. 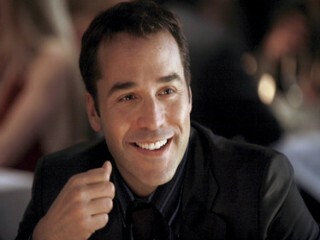 View the full website biography of Jeremy Piven.